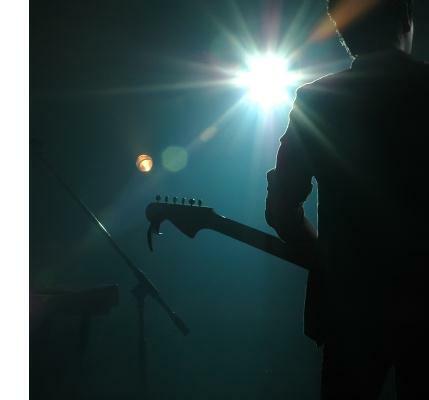 Don't miss Music Authority's spring show! Fabulous student performers, the teacher band, and great coffee! A Classical Department show for soloists. Space still available for students to sign up. "This! This is Music Authority Family. These kids range in age from 7th to 12th grades and I can name them all and at least one parent....all because they love making music and they have parents who are their biggest supporters. These kids support each other everyday. #musicauthorityfamily"
One of our Music Authority parent's posted this message with the photo below on social media after a Backroom concert on January 28, 2017. The sentiment sums up the meaning of "Music Authority Family," providing a place for young musicians to spread their wings, make friends, and build healthy relationships. The students in the photos attend Central Forsyth High School, South Forsyth High School, homeschool, Riverwatch Middle, North Forsyth High School, and North Forsyth Middle School - quite the diverse line up. 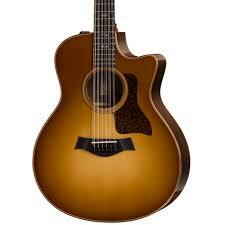 Music Authority has become the place to go to pick up a Taylor guitar in Atlanta. We've moved over a dozen guitars in the last two months - a new record for Music Authority! This beauty is shipping out of San Diego later this week. You can find it on our walls in about ten days - don't forget to pick it up and play! Be revolutionary - play a musical instrument! Don't sit at home and play video games, stimulate your brain by being part of an Ensemble. 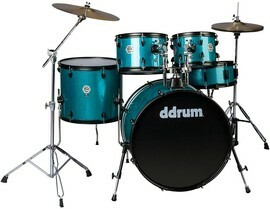 Have you seen this brand new drum set, just in last week? Don't miss out, this beautiful color won't last long! 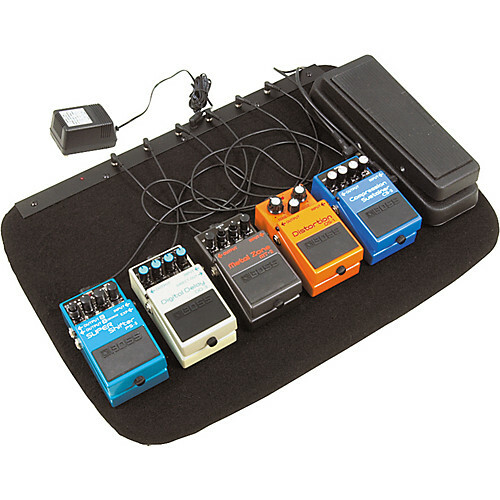 Join Andrew Loggins for a look at the best way to build your pedal board. Sign up early - there will be give aways and exciting new products arriving for the first time at Music Authority! Does your student need a recital credit? Sign up for the May 21 soloist concert. Due to the style of music, no vocalists for this concert. See the front desk to register. Have you seen The Backroom lately? It's become a nice little listening room in the last few months. 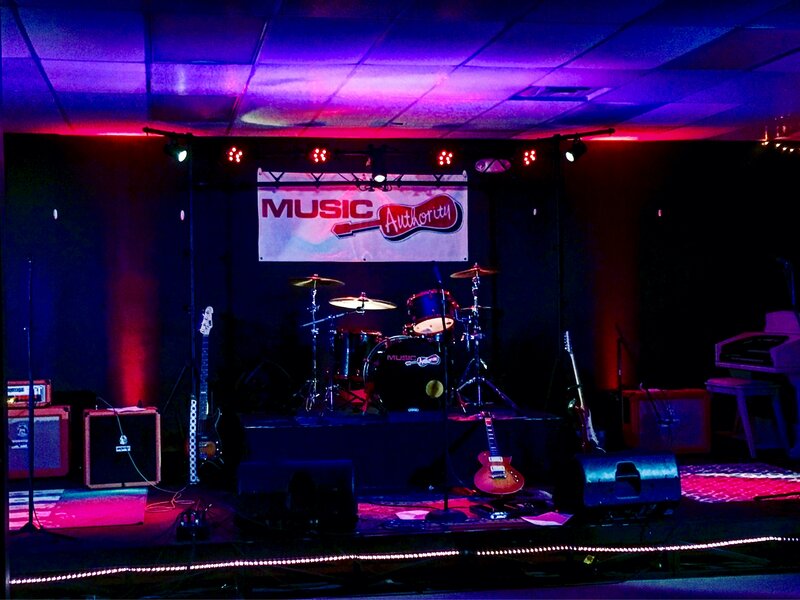 From acoustic concerts like January's show with Brayden Segat and Louis Texidor to full electric shows, you can catch an early, local night of music each month at Music Authority's Backroom. Most concerts start at 7pm. 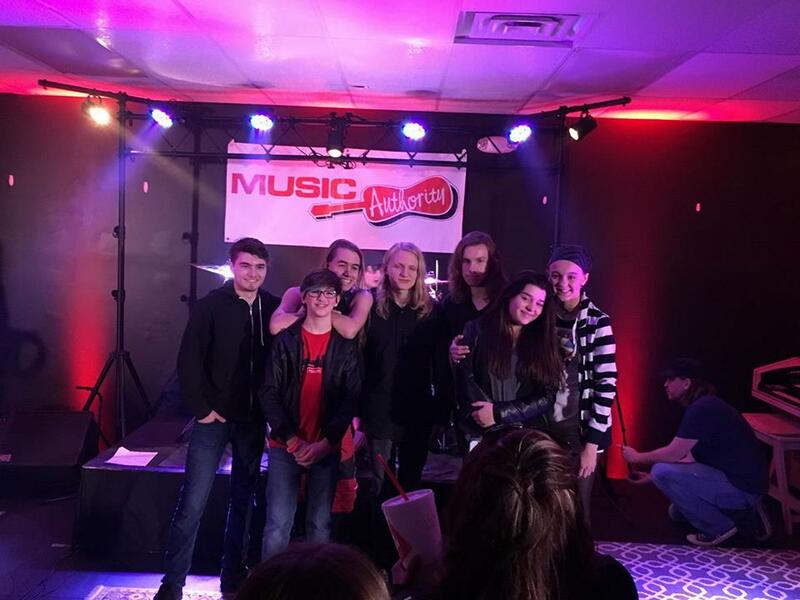 Music Authority's Rise, Ursidae, and 60 Seconds played to a full house on January 28 and a great time was had by everyone. Do you know anyone who'd like the opportunity to play at Music Authority? Let Melissa know at melissaloggins@att.net or call Music Authority at 770-886-9066. Rock Camp Sign Ups Under Way! 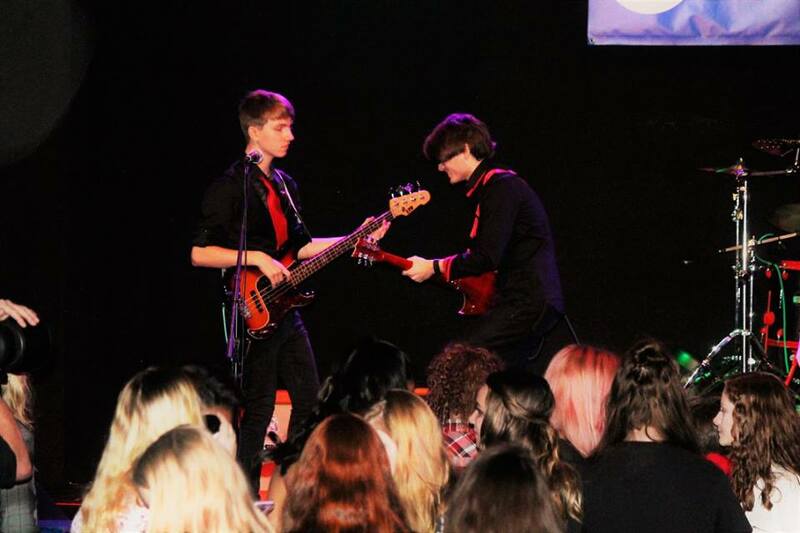 Session 2 - Rock Camp, Jr.
Rock Camp is one of the highlights of the summer at Music Authority. 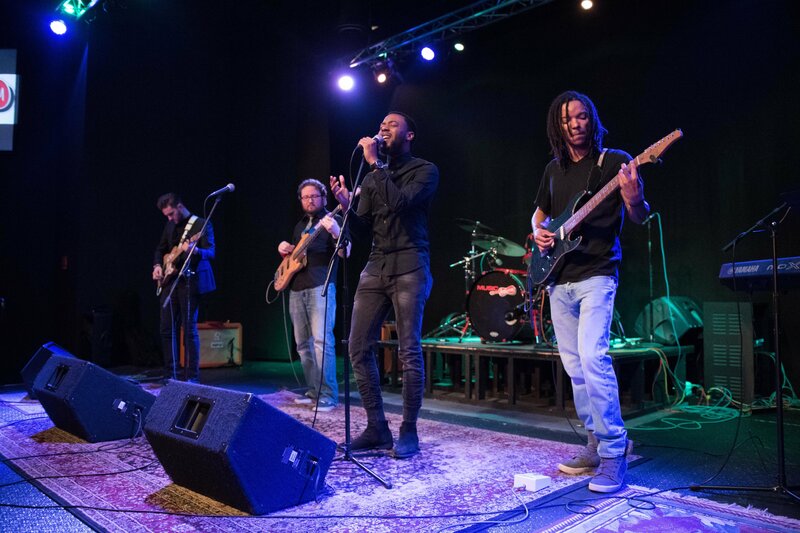 Campers are placed in a band, learn music, and perform in a concert on Friday night at The Warehouse. Music Authority's camp focuses on quality of education, complex songs, and challenging every student to play beyond their boundaries. 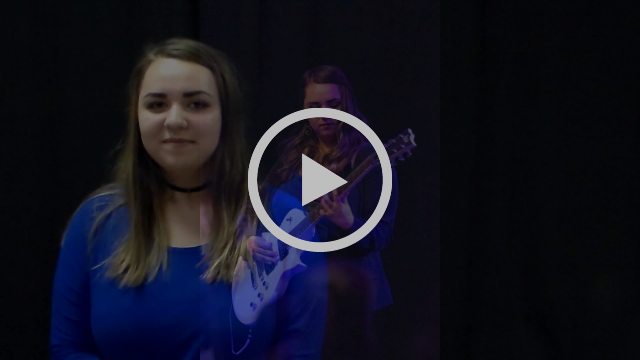 Rock Camp, Jr. provides the same experience for the younger student in a less intense environment. The camp day is shorter (designed for younger attention spans) and the concert is held in the Backroom at Music Authority. Contact the front desk at 770-886-9066 for more information or to sign up. Space is limited and some instruments are already full, so don't wait! Brand new for 2017 - Broadway Camp with Ashley Young! Details are in the works, look for more information coming soon. Tentatively set for June 26 - 30. If you're interested in Broadway Camp, please leave your name and information with Anastasia at the front desk. Once we get the details ironed out, we'll follow up and get you signed up for camp!